One of the biggest worries prospective home buyers have is how their credit scores can affect their ability to quality for a loan with the most competitive interest rate. While there are a lot of factors that affect your credit score, like how much debt you have and making payments on time, to help ease your mind a little, here are seven things that will not hurt your credit score. No matter how much money you spend on a debit card or even a prepaid credit card, this type of activity is not reported to the credit bureaus. That’s because these cards only work based on the amount of money you have in your account, and not on a monthly repayment plan. 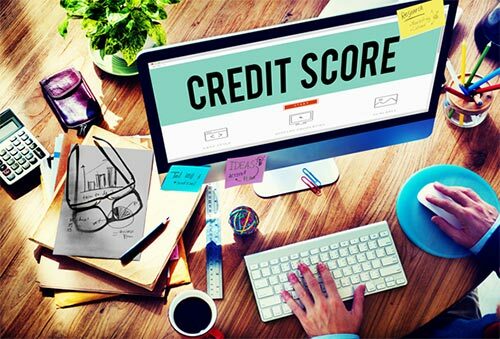 Paying your utility bills on time every month is a good idea, of course, but utility companies do not report good payment history to credit bureaus, so this will not boost your credit score. However, if you are seriously delinquent on a utility bill it will go to collections, and this will get reported and can lower your score. The moral? Keep paying for your utilities on time! If you have ever received any type of public assistance, or you were on disability, this information is protected from the credit bureaus and will not appear on a credit report. This is one of the biggest misconceptions about your credit score, and it’s worth clearing up. If you initiate a credit report, that WILL NOT lower your credit score. However, if you allow a business such as a credit card company to check your credit, that can lower your score, especially if you allow several companies to check your credit in a short period of time. That’s why most financial experts advise you to limit the number of times you give permission for others to check your credit report. Income is a sensitive matter to a lot of people, but it’s not a factor in how your credit score is calculated. It’s only a factor when considering your debt ratio. While it’s true that you will have to disclose your income and provide confirmation such as pay stubs or several years of tax returns when you apply for a mortgage, none of that information is available to the credit bureaus. Although a criminal record may affect whether you are eligible for certain jobs, this is not a factor that is used in your credit score. However, if you have ever received some type of lien or court judgment related to a criminal offense, that information can appear on a credit report and lower your score. For example, an arrest for failing to pay child support can appear on a credit report, and that will definitely dent a credit score, especially if the arrest lead to a garnishment of wages. Home and auto insurance are two common debts that people pay every month, but these payments are not reported to credit bureaus, so they won’t lower or boost your credit score. Most insurance companies simply cancel your policy if you fail to make payments. However, in some rare instances, an insurer may send an unpaid premium to a collection agency, and if you don’t settle the debt, the agency could report the delinquency to a credit bureau. Maintaining a good credit score is important to everyone interested in buying a home, but at least there’s a few things you don’t have to worry about. Let me know if I can help you put together a mortgage approval plan to get you in the best home-buying shape! Call me at 303-656-4788 today!